S5 never forgets that shipping is a ‘people business’. Our systems are designed to help both your staff and ours to work more efficiently. They are intuitive and can be specifically tailored to your personal requirements. Our in-house systems minimise the time you have to invest in managing port operations enabling your team more time to focus on their core responsibilities. Our clients have estimated that their operators can save up to three hours a day through our simplified online communications protocol! Search and retrieve cargo and financial documents quickly online. View and approve DAs online. Monitor our compliance with your requirements through automated KPIs. Unmatched reporting and analytical capability through our management information tool. Access to worldwide port information. 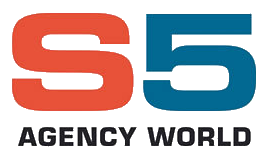 S5 has a proven track record of rapidly and successfully integrating with clients’ operating and voyage management systems. Examples include Dataloy, Softmar, IMOS and bespoke software. Systems development is driven by customer demand, developed by our operations staff and executed by our in-house IT company. Our platform is therefore constantly reviewed and updated to reflect your ever changing needs. S5 is a leading Global Port Agency delivering services through more than 360 owned port offices. Our established presence in a competitive market place has been built on our reputation and ability to tailor our process driven products to meet our client’s specific and evolving requirements. S5 prides itself on our client-focused approach to customer service and delivery. S5 offers you a robust and innovative partner committed to tangibly improving your voyage return. Our commitment is that S5 delivers! © 2017 All Rights Reserved. Website by Next Level Studio.